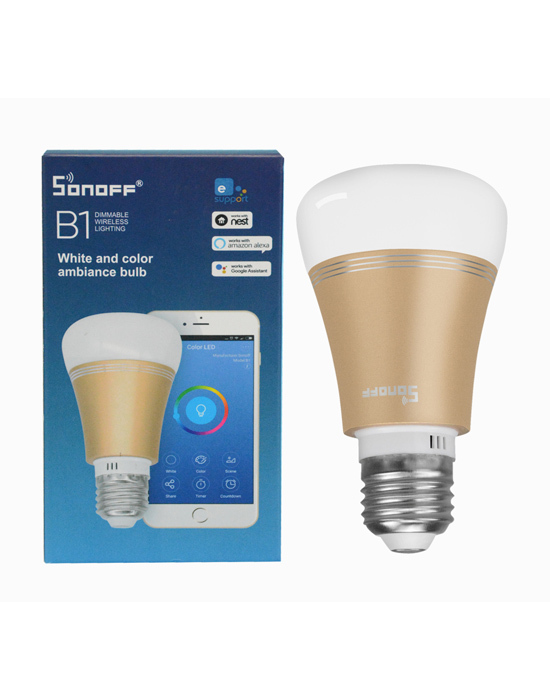 Sonoff B1 is white and color ambiance dimmable LED bulb with E27 screw base. The dimming led lamp can be dimmed or brighten via iOS/Android App. With the App, users can select White, then the light will become white ambiance, they can set color temperature from cold to warm and change the brightness from 1%-100%. If they select a color, they can change the color spectrum of the RGB bulbs to а favorite atmosphere. There are four available scenes for the dimming LED bulb: rest, reading, party and casual.